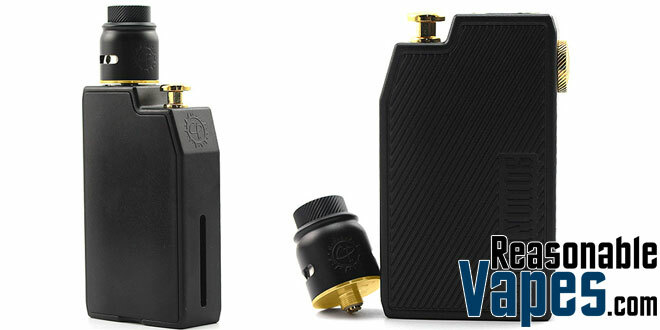 Here we have the Advken CP Squonk Mod Kit which comes with the CP RDA. First of all this is a fully mechanical squonker, which means it’s intended for more advanced vapers familiar with ohms law. However this one has a pretty darn unique squonk system which I like very much. 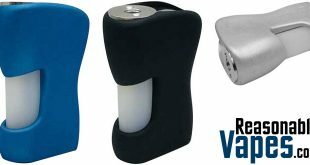 Rather than squeezing a bottle, all you have to do is push the pump located on the top of the device. Furthermore I love how the squonk bottle is hidden on this Advken CP Squonk Mod. 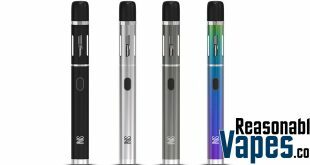 It’s also made of glass which is just a better material for ejuice to sit in. While there are no safety features on this device because it’s fully mechanical, it does however have a locking mechanism for the fire button, which is great. So if you’re looking for a unique squonker with a hidden glass bottle on the inside, then go ahead and grab yourself one of these Advken CP Squonk Mod kits!